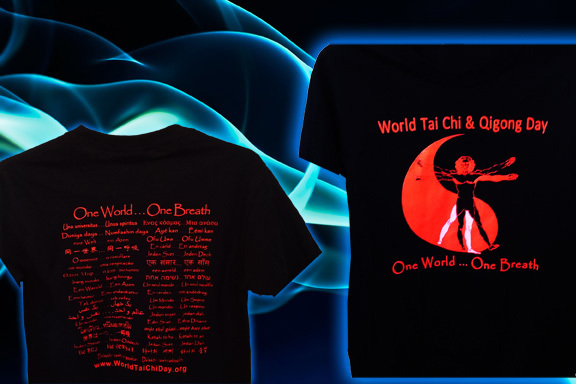 World Tai Chi & Qigong Day's event organizers worldwide are welcome to download and use the below FREE artwork to print Banners, Flyers, and Posters for their events. Scroll down on this page to see art-work-download links to get pdfs of various banner sizes, flyers, etc. Be sure to also utilize our Official Press Releases in many languages, and our Organizing Kits and Media Kits to maximize the success of your event. Also, find instructions under the above EVENTS tab, to learn how to gain Official Government Proclamations for your WTCQD events from local, regional or national government officials, offices, and ministries. In the past groups have gained Official Proclamations from Presidents, Senates, Legislatures, and Mayors for their WTCQD events. 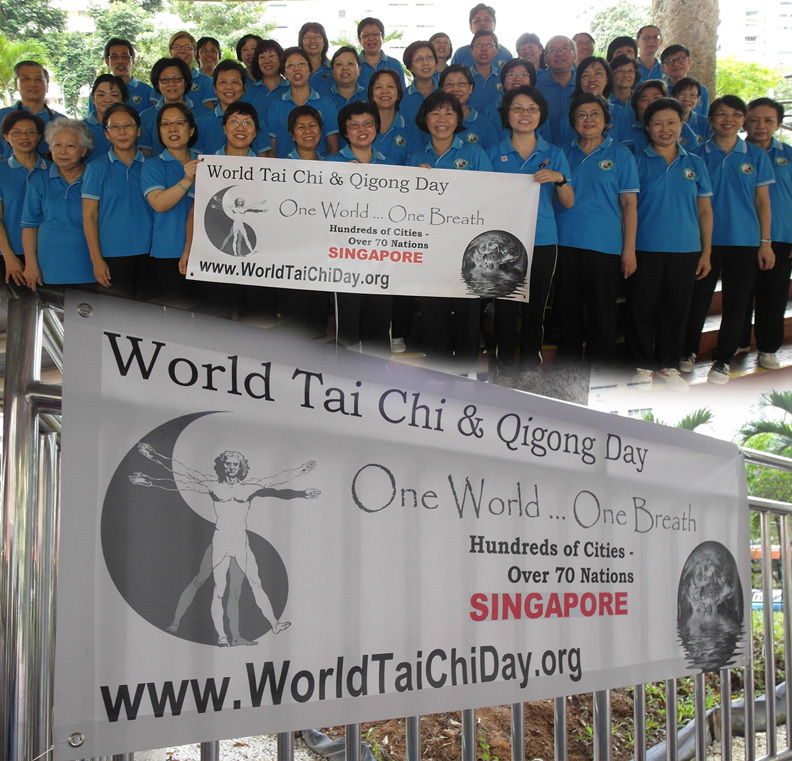 WTCQD groups and organizers worldwide use our FREE official banner art-work to print banners for their local events! You can use our generic pdf/jpeg banner, or use photoshop, etc. to insert your locale, like the groups in this photo did (See Singapore in red). Scroll down for down-load links to get your FREE banner art-work, and flyer art-work, etc. After clicking on the image of the desired art-work below, when PDF image opens, "right click" on image for "save as"
before scrolling down for more "free resources"
would you like to support our global health & healing efforts? you can via our "official t-shirts"! Scroll down for more FREE Poster, Banner, and Flyer Art-Work. 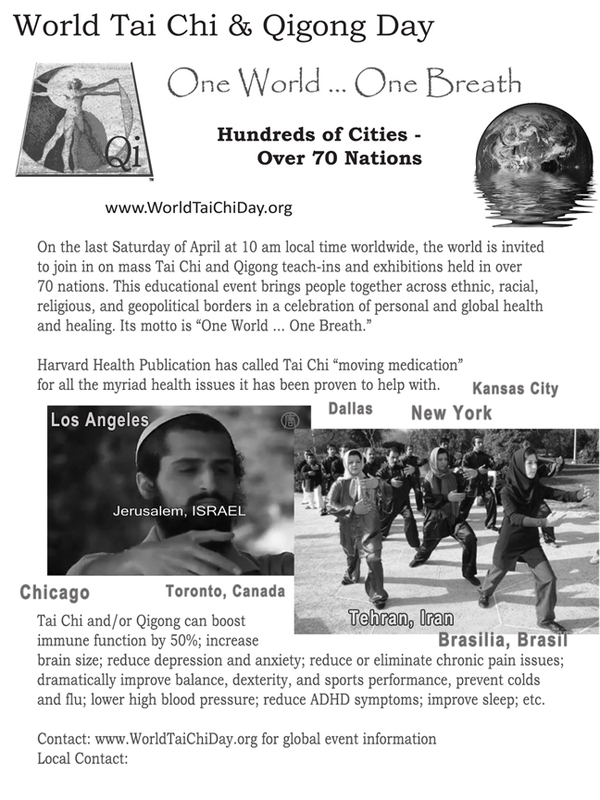 WorldTaiChiDay.org provides many such FREE resources, Media Kits, Organizing Kits, Medical Research, etc. to help you and your group or organization spread awareness of the science on mind-body practices like Tai Chi and Qigong as a proven healing balm for many of the world's modern challenges, both personal and macro-economic in saved health costs. OUR OFFICIAL T-SHIRTS IS NOW YOU CAN SUPPORT OUR WORK. Thank you. WORLD HEALING DAY groups and organizers worldwide use our FREE official banner art-work to print banners for their local events! Are you a Yoga, Reiki, Meditation, etc. 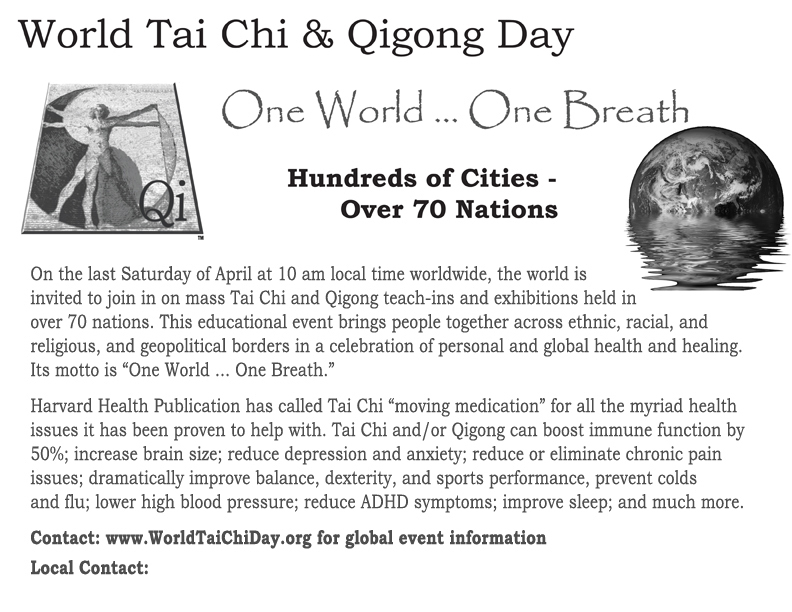 group that is participating in our global wave of Qi and Prana, started by Tai Chi and Qigong groups in over 80 countries on the "last Saturday of April" each year? If so, you can use our FREE "World Healing Day" Banner Art-Work to print a banner for your local event. You can use our generic pdf/jpeg banner, or use photoshop, etc. to insert your locale, like the groups in the top photo on this page did (See Singapore in red). Click above WHD Banner image for FREE World Healing Day Banner Art-Work. After clicking on the above WHD Banner image of the art-work, when PDF image opens, "right click" on image for "save as"